The Eighth Deadly Sin According to the bible, there are seven deadly sins: pride, envy, gluttony, lust, anger, greed and sloth. But the Jesus book was written ages ages ago, even before the Internet, and needs an update. 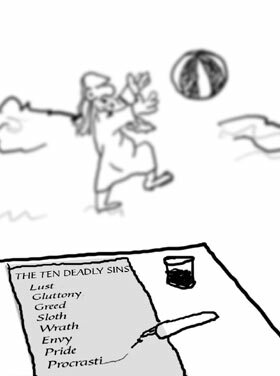 What's the eighth deadly sin? *or is it just me? just thought I'd bring back the beast. ...but it popped into my head on the way to work today and I had to let it out. i went to bed. 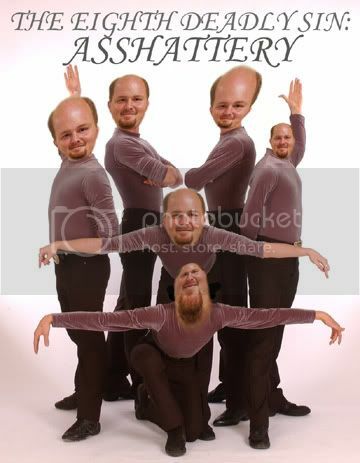 this crawled in my brain. i release it. It's the Eighth Dead Listen.